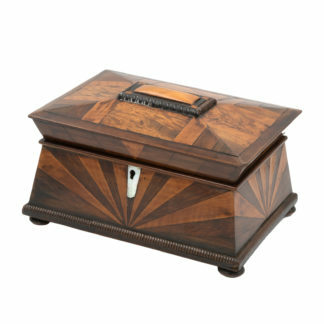 Lovely Pagoda Shape Box With Sunburst Marquetry, English, Circa 1850. 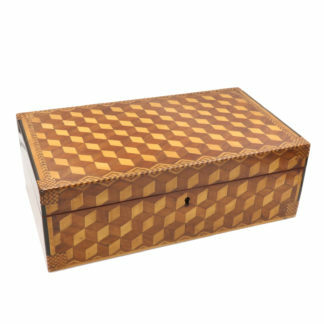 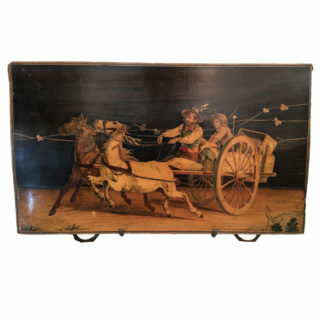 Very Large Marquetry Box with Impressive Tumbling Block inlay, Early 19th Century. 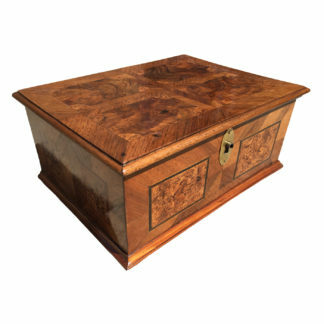 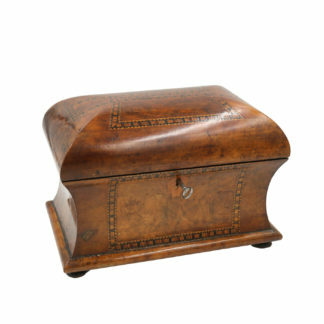 Quality Fully-Fitted Walnut Tea Caddy, English Circa 1840-1850.